She established Lucie Chang Fine Arts in 2011. 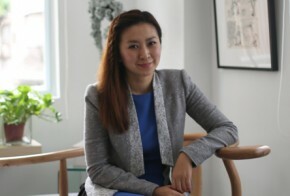 Lucie Chang belongs to the second generation of a well-established family of Chinese antique and art dealers in Hong Kong. In recent years, Lucie Chang Fine Arts has focused on contemporary Chinese ink painting and other contemporary art works with classical Chinese cultural connotations.